Home»All»What do you think of school lunch? My son’s lunch bag “catastrophe” forced me to reconsider. 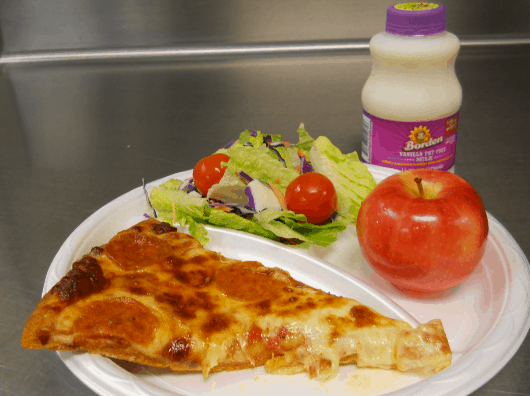 What do you think of school lunch? My son’s lunch bag “catastrophe” forced me to reconsider. 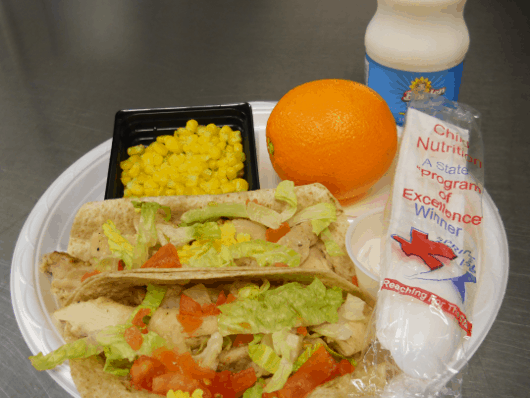 The School Nutrition Association (SNA) contacted me recently to ask if I would write a sponsored post about elementary school lunches. To which I said that I pack lunches each day and we are afraid of school lunches. In fact, I have a whole series about packed lunches. It’s probably not a good fit. But then two things happened. First, I packed the world’s worst lunch for Joe. Didn’t I know that it was his sister that liked mozzarella and tomatoes? Fortunately I was at school the day of this catastrophe and I took Joe through the lunch line. And it wasn’t too scary. I was happy to see that the green slush machine, from last year, was gone. (And really, who thought a green slush was a good option for kids at school?) I also found several vegetarian options for my vegetarian boy. He had cheese pizza, cauliflower and a side salad. The second thing that happened is that the SNA told me that there are new federal nutrition standards require larger servings of fruits and vegetables and whole grains and that I should take another look at school lunch. Okay. You got me. I will write a post about school lunch as long as I get to say whatever I want. I spoke to Melanie, the Director of Child Nutrition at SpringISD and the regional spokesperson for the School Nutrition Association. Melanie told me that school meals have undergone several changes related to the Healthy Hunger-Free Kids Act 2010. In addition to other changes, the standards also require that schools transition to whole-grain rich grain and that every child must take a fruit or vegetable with their reimbursable meal. Then she told me that SpringISD has a local vendor who provides fresh fruits and vegetables, including foods grown locally and around Texas. And they have found that kids love vegetables like broccoli, cabbage and green beans with Monterey seasoning on top and sweet potato with chili powder! This is when I started to pay attention. I order a local box to deliver fresh local produce to my family. Now schools also have farm-to-school programs. That’s pretty cool. Lunch menus are published for each school and vegetarian options are becoming more popular. 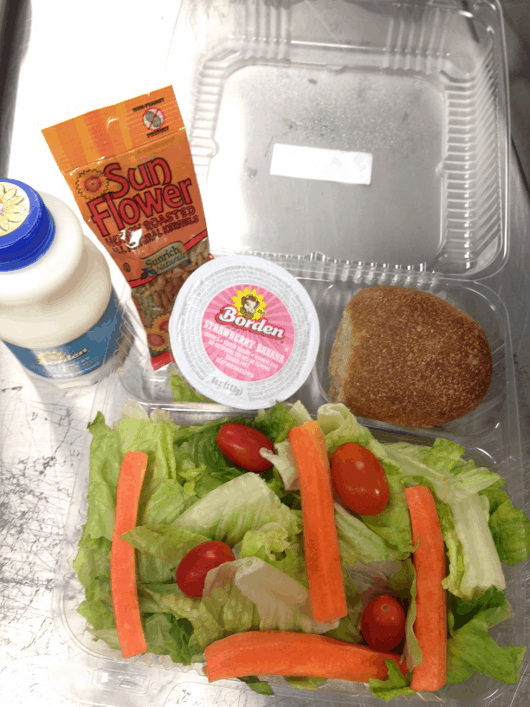 SpringISD offers fresh chef salads daily at all school levels. Also, an Elementary student can choose from 5 entrees, and Secondary students are offered 10 or more entrees. I was starting to reconsider school lunch when Melanie went quiet for a week. I wondered if I should drive over to SpringISD to check on her or start making jokes about poor nutrition, but fortunately she reappeared to tell me that SpringISD had a surprise audit. And they passed! Based on the nutritional analysis performed, the nutrient content of their meals was excellent and they received praise on food preparation, storage and safety. I translated this to mean that we will not see them listed in those awful TV News segments about disgusting restaurant kitchens. And that’s one less thing for me to worry about. So will my kids start eating school lunch? I’m not scared of school lunch anymore and I added money to their lunch cards. I still have to consider the menu for my son the vegetarian, to be sure he has options when he gets in the lunch room each day, but school lunch is certainly an option now. And do you see this salad being served at SpringISD? I think I might drive there for my own lunch tomorrow. What do you like to do in Houston, without the kids? You asked BigKidSmallCity!